The Autism Job Club is a groundbreaking book for bringing adults with autism and other neuro-diverse conditions into the work world. 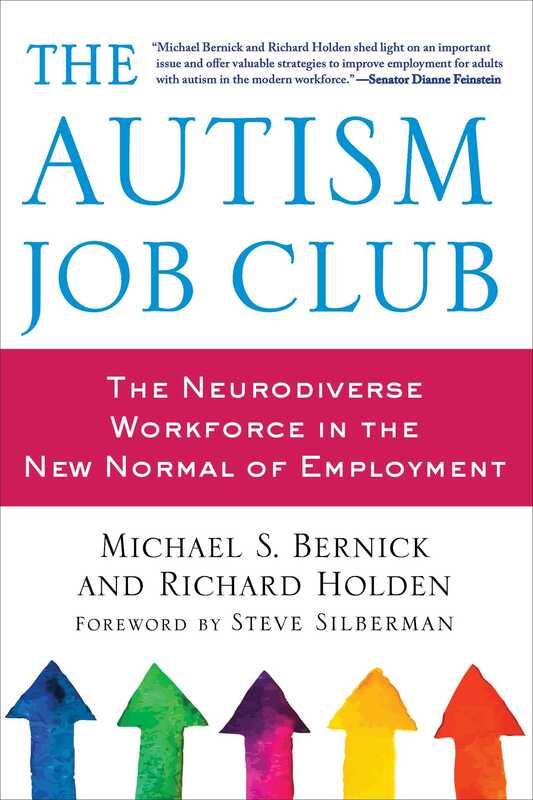 This second edition of The Autism Job Club includes a new Foreword by Steve Silberman, author of the best-selling NeuroTribes, along with an Afterword by the authors. The Afterword covers the many employment initiatives for adults on the autism spectrum launched just in the three years since the book was originally published. The book has its basis in the autism job club that the authors have been part of in the San Francisco Bay Area, the job-creation and job-placement efforts the club has undertaken, and similar efforts throughout the United States. The authors review the high unemployment rates among adults with autism and other neuro- diverse conditions more than two decades after the ADA. Bernick and Holden also outline and explain six strategies that, taken together, will reshape employment for adults with autism: the art of the autism job coach; the autism advantage in technology employment; autism employment and the internet economy; autism employment and the practical/craft economy; autism and extra-governmental job networks; autism and public service employment. The Autism Job Club is a vital resource for adults with autism, their families, and advocates who are committed to neuro-diverse employment, not unemployment. But it also speaks to a far broader audience interested in how to carve out a place for themselves or others in an increasingly competitive job world. Richard Holden he has been the Regional Commissioner for the U.S. Bureau of Labor Statistics in San Francisco. He served previously as Research Director of the California Labor department. "In this book, Michael Bernick and Richard Holden shed light on an important issue and offer valuable strategies to improve employment for adults with autism in the modern workforce. On a broader level, the book speaks to all audiences about the difficult task of finding a role in the increasingly competitive job world." "The Autism Job Club takes a frank look at the trends that are reshaping the nature of work, and rightly points out that neurodiverse individuals have an important role to play as we transition to this new world. The book recognizes and celebrates the value of gainful employment for all individuals, that each of us has a unique contribution to make." "The Autism Job Club is the most extensive informational book about adults on the autistic spectrum in the workforce today. This book is a must have for parents, professionals, and employers who are looking to provide employment opportunities. The six strategies in this book will reinvent future employment for adults on the autistic spectrum."